The Jemini Panel End Desks provides a traditional panel end entry level product for use in multiple office environments. Available in 25mm thick tops in 3 colours and complemented by a full range of pedestals, storage and tables. 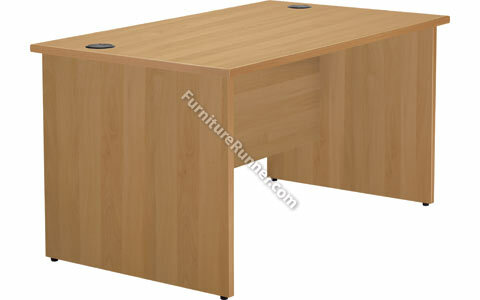 Jemini Rectangular Workstation - A stylish yet traditional product for use in multiple office environments. Fixed pedestals can be added. 1200mm desk can only accommodate one pedestal. Dual cable management ports. Modesty panel as standard. Dimensions: W (Select Below) x D800 x H730mm.